Well, school starts next week at the university I work at. I'm excited to see the sweet students again, but part of me always dreads this time of year. Things get really busy and crazy and our town gets really crowded and the restaurants fill up and... Okay, it's really not that bad and I do like living in a college town. It's just an adjustment after a quiet summer. As you know, my husband Eric went back to school last August full-time to get his MBA. That means this is his last semester and he will graduate in December! We could not be more excited for him to finish and we are looking forward to a lot of change coming soon (including a baby!). Obviously, going back to school is tough financially. You have to give-up specific time earning income and paying for school isn't fun. BUT, hopefully it will all be worth it (I guess we'll find out soon). One of the other things that is annoying about paying for college is the cost of textbooks. Pretty great, right? There is also a new program called Rent Back that allows students to rent the textbooks they own - to other students. So instead of selling the book back to the bookstore at the end of the semester (and getting something like 8% of what you paid) you can make 2-4x more money through Rent Back. Seriously... where was this when I was in college?! Saving money on books will be really significant for us as Eric finishes school and we are about to add another member to our family. We are also planning on cutting back on eating out, saving specifically for baby's birth and temporarily moving to one vehicle. Have you ever "gone back to school?" Do you have any tips for cutting back? 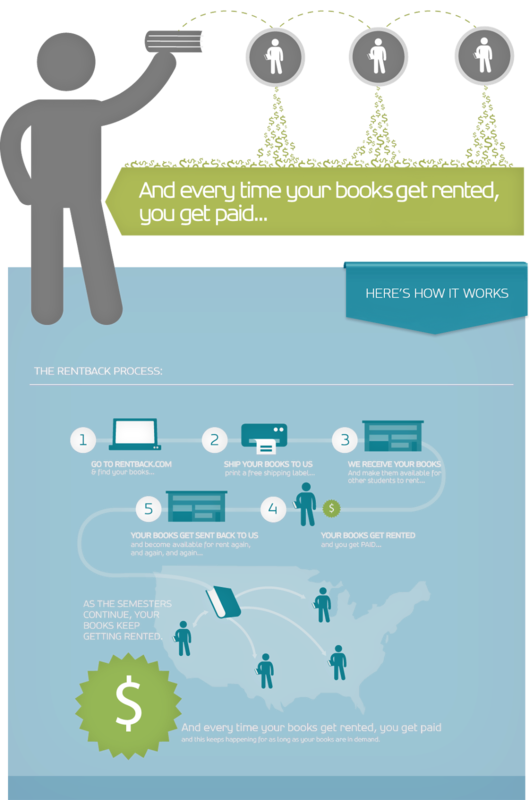 Have you ever used CampusBookRentals? Disclosure: This is a sponsored post, however all thoughts and opinions are my own. I remember how expensive books were and I'm sure it has doubled since I've been out of college. My daughter won't be heading off to college for a few more years but so good to know! Pinning this so I remember later! i did my degree online and i eventually stopped buying books because i was spending close to $500 every 3 months and i just couldnt afford it anymore. i absolutely would rent / buy used but they were all australian books and i was living in the US, so no can do. don't think i could go back to school again! I'm looking into ordering books right now and I've worked with Campus Book Rentals in the past... LOVE how affordable they are! I wish they had Rent Back when I was in school! That sounds awesome!